Note: 3.1.1 is a patch for 3.1. It fixes a bug that could cause a 10.14 crash on startup for existing users who had customised their appearance preferences. • Full support for dark mode on macOS 10.14. 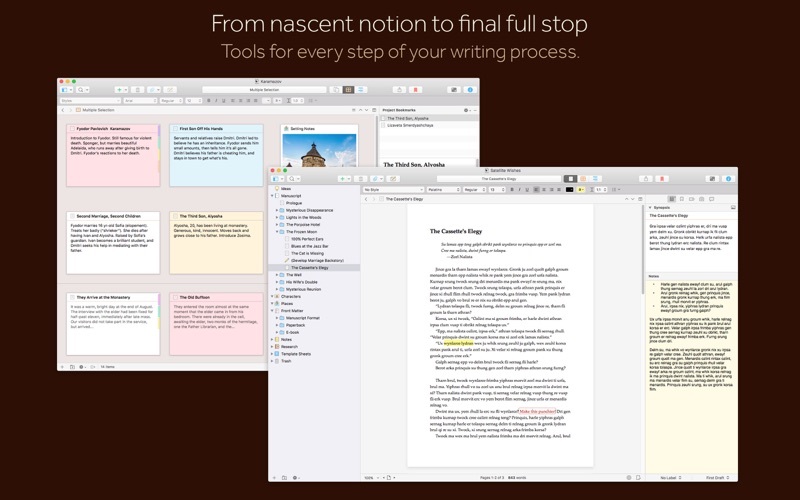 • Scrivener’s “Appearance” preferences allow you to take full control over colours and UI in each mode. 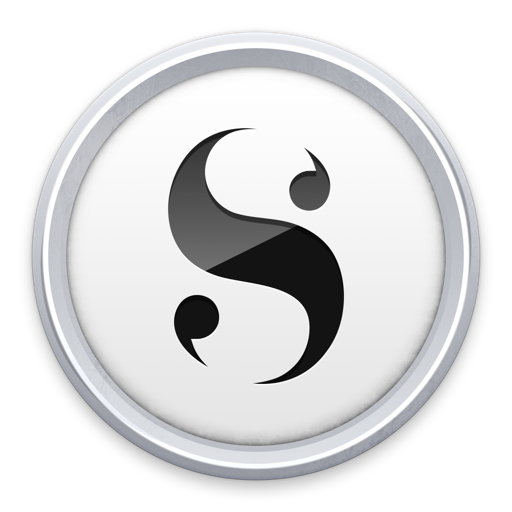 • Switch between dark and light mode independently of the system settings using the Scrivener > Appearance menu. 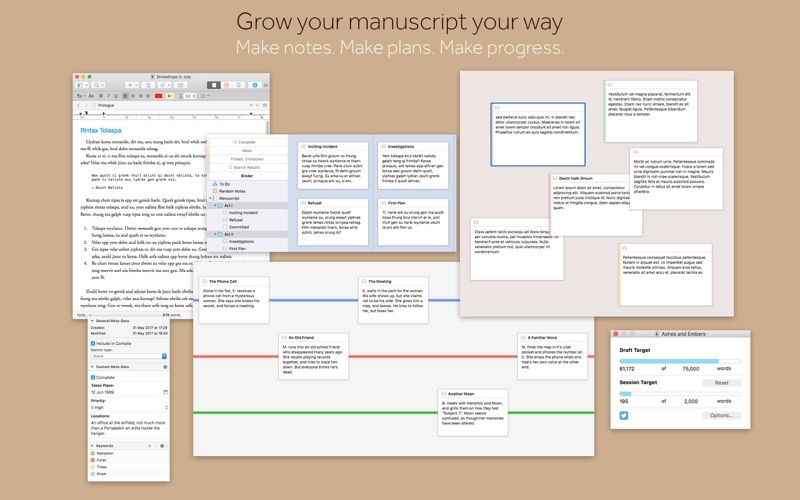 • Set up different colour themes for each mode via the Preferences, and switch between them using the Scrivener > Themes menu. 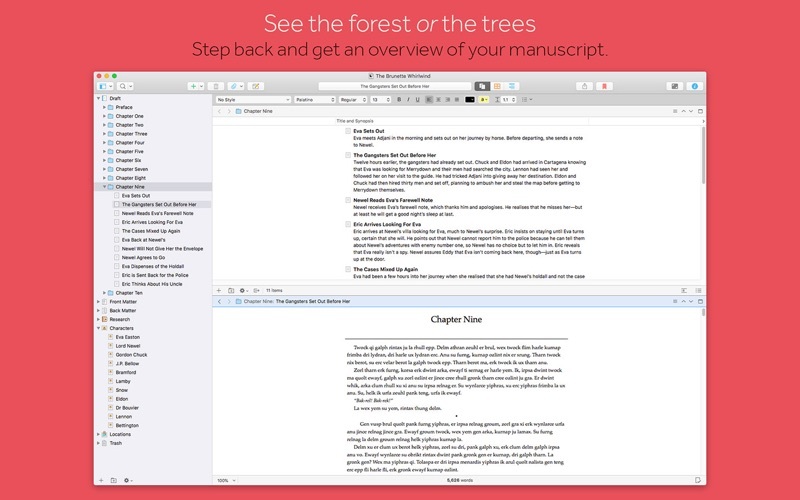 • Support for not splitting sentences across pages in scripts. • Dual dialogue support for print and PDF. • You can now include a cover image when compiling to PDF. • Enhanced options for compiling for print-on demand services, including an option for PDF files to use the PDF/X-3 format. • Epub 3 and Kindle KF8 formats now allow for direct formatting. With these changes, the older ePub 2 and Kindle Mobi formats have been removed, and will only be available for Compile formats created in older versions that rely on them. • Epub export now supports inline MathML equations generated by MathType. • It is now much easier to edit section layouts: a pencil icon appears when you move the mouse over a section layout in the main Compile window. Simply click on it (or double-click the layout) to begin editing. • Unused section types are now hidden by default in Compile’s “Assign Section Types”. • Section Layouts in the Compile format editor are now displayed in bold if they are used in the project, making it easier to identify the layouts you are most interested in. 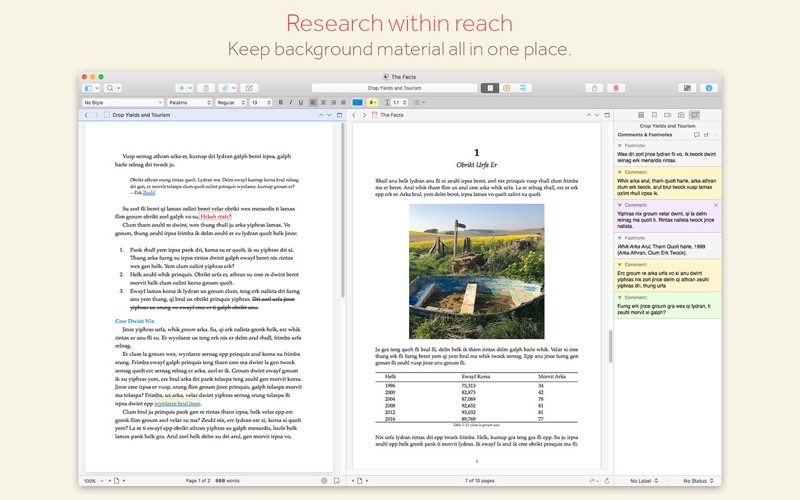 • Improvements have been made to footnotes in print and PDF, including several new options for how they are laid out. • A new “focus mode” is available via View > Text Editing > Focus. 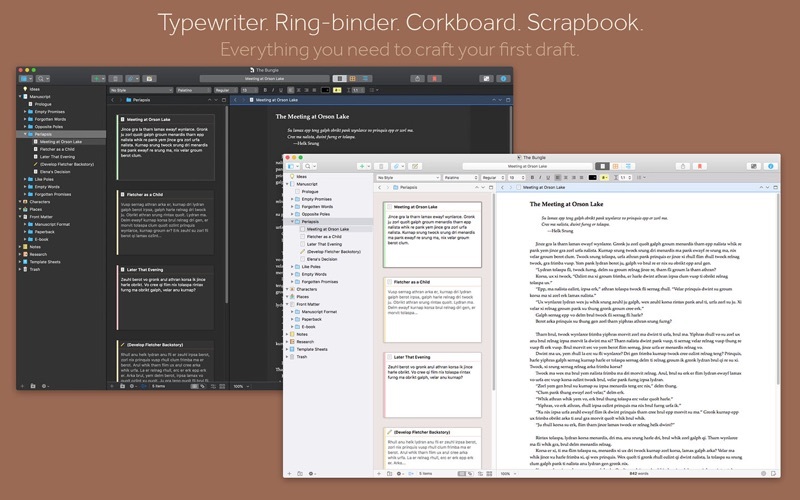 This allows you to fade out everything except the current line, sentence or paragraph as you write. The mode can be set independently for the main window and Compose. • Widow and orphan control now supported when compiling to PDF or for printing. • Keep with Next has also been improved, and you can now determine whether the KWN paragraph itself can be split across pages or not. Цена : 3 390 р.